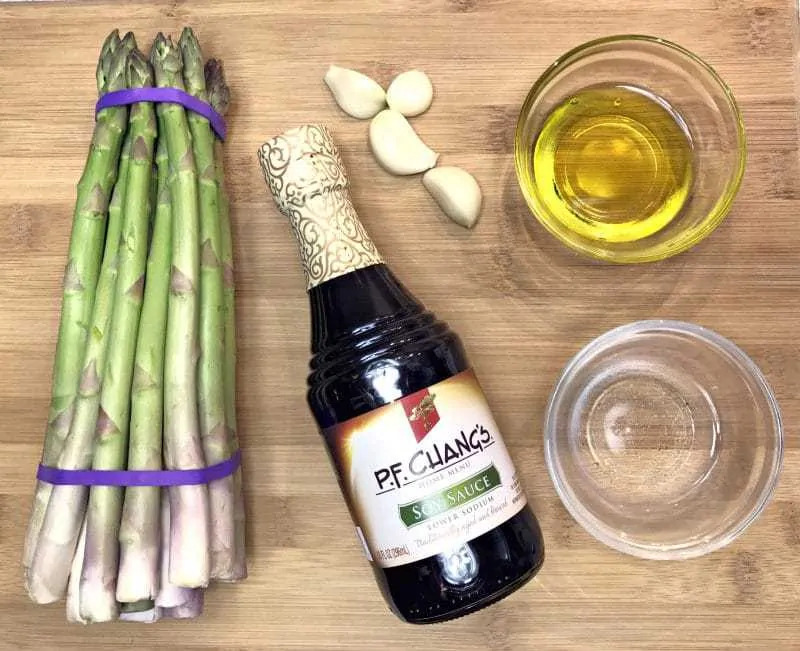 If you are looking for quick, easy, and delicious asparagus recipe, you have come to the right place. 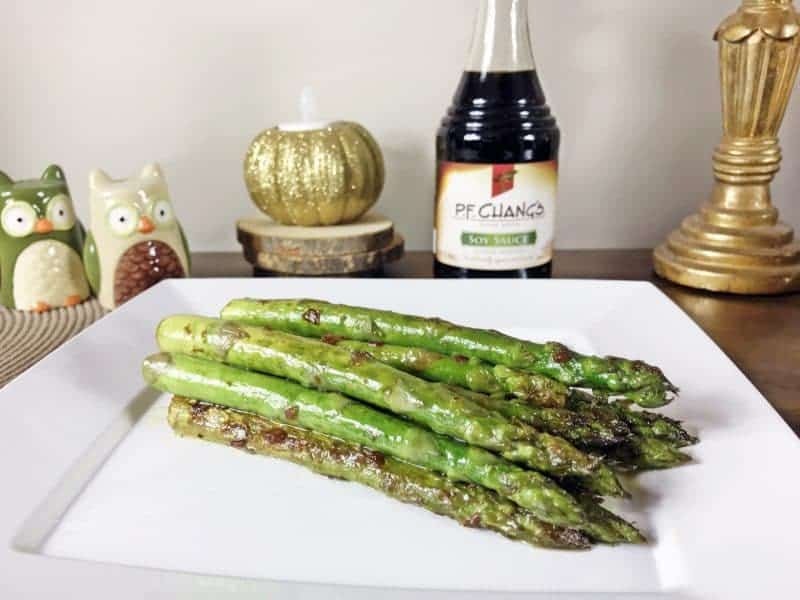 Pan Seared Asparagus With Soy Sauce and Garlic takes only about 15 minutes to make, but is PACKED with flavor. It pairs well with steak, chicken, or fish, but especially pairs well with asian cuisine. Pan Seared Asparagus makes the perfect side dish for the upcoming holidays, or for any time of year. I shopped for the ingredients for this recipe at Walmart, where I was delighted to discover 2 NEW P.F. Chang's® Home Menu sauces: Soy and Mongolian. P.F. Chang’s Home Menu Sauces make it easy to prepare authentic Asian cuisine, right at home. The new varieties make a great addition to the 3 delicious P.F. Chang’s Home Menu Sauce varieties already available: Teriyaki, Sesame, and Kung Pao. 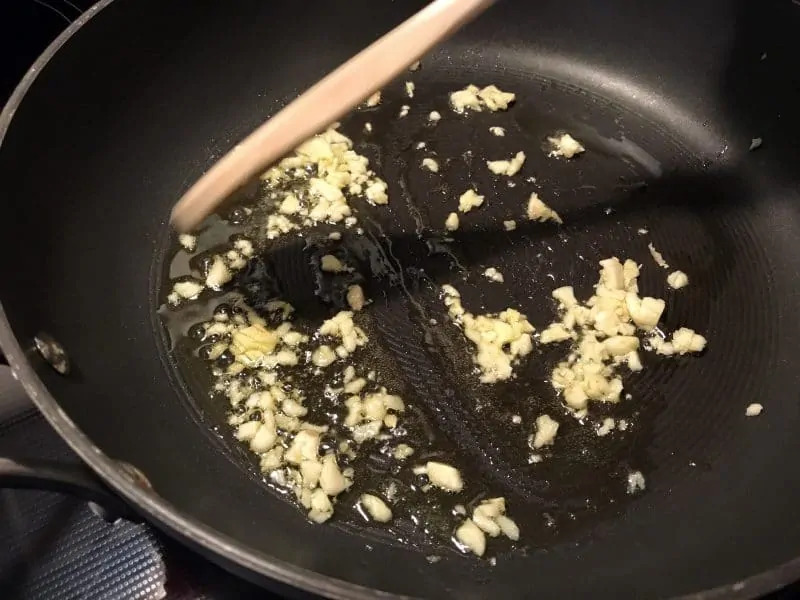 First, heat olive oil and garlic in skillet at medium-high until garlic begins to brown, stirring occasionally. Next, add asparagus, P.F. Chang’s Home Menu Soy Sauce, and water to skillet. Roll asparagus to coat and cook evenly. 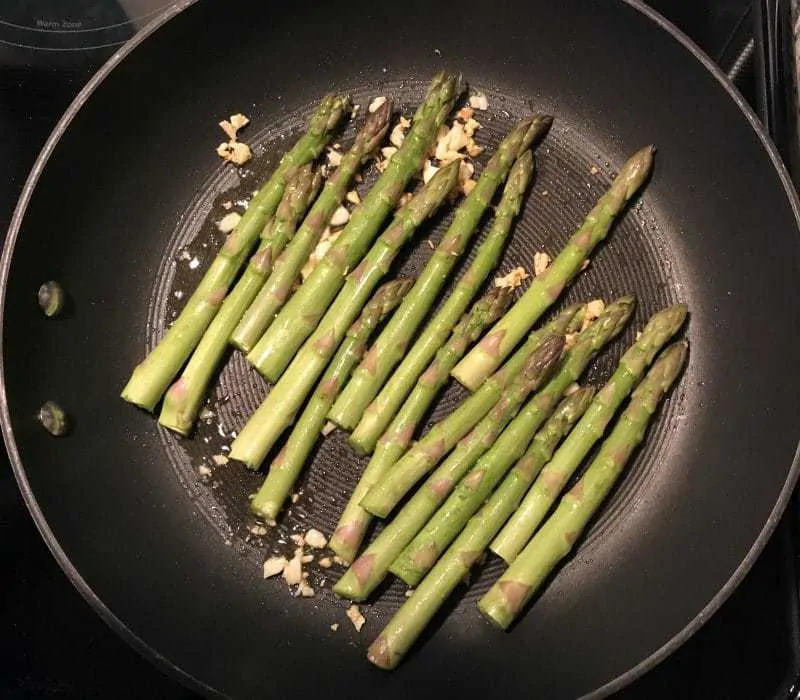 When asparagus is tender, but firm, remove from heat and serve immediately. P.F. 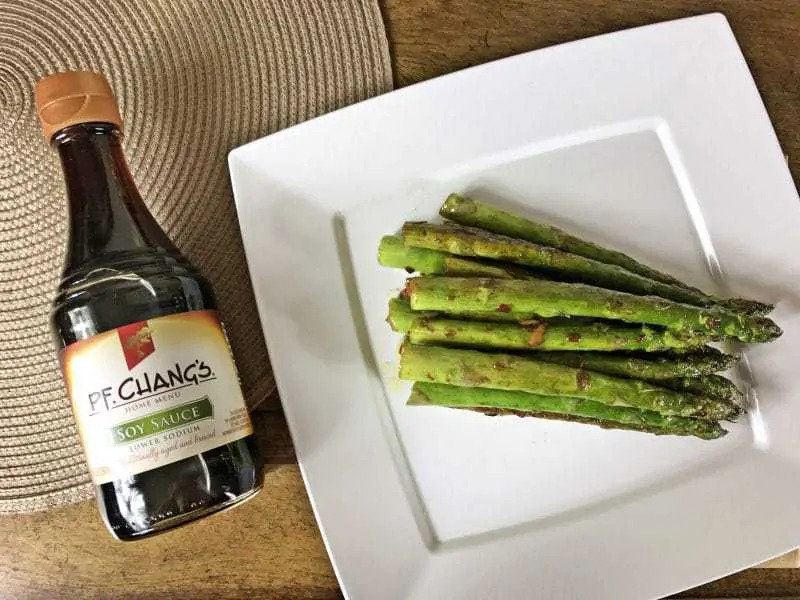 Chang’s Home Menu Soy Sauce was just what I needed for my easy pan seared asparagus recipe. The sauce is packed with awesome flavor, and it really is the star ingredient in this recipe. P.F. 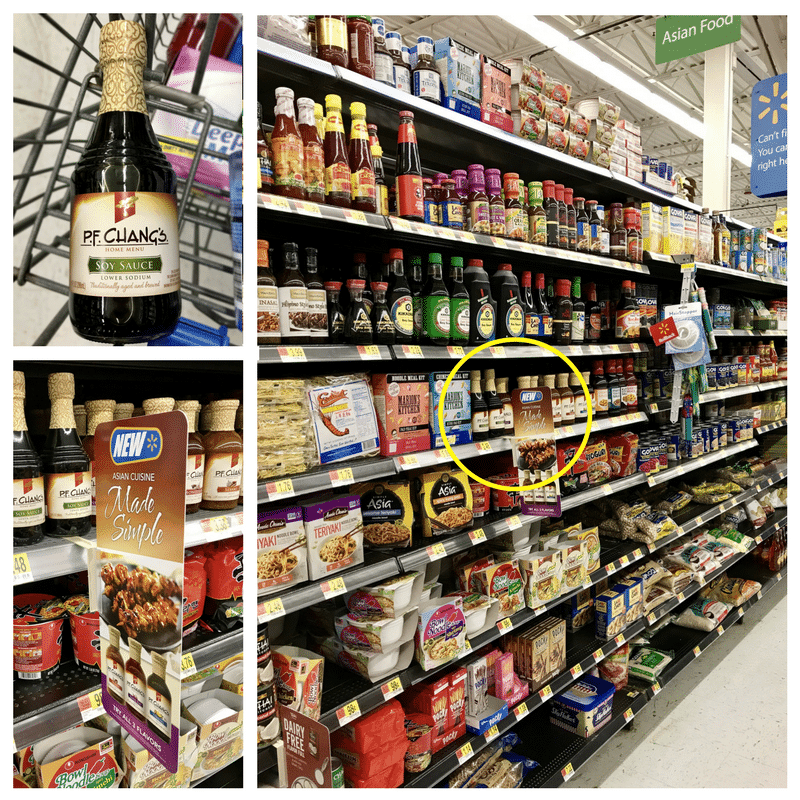 Chang’s Home Menu Sauces can be found in the Asian Foods aisle at Walmart. For more tasty recipe inspiration, be sure to check out the P.F. Chang Home Menu Sauces recipe hub. 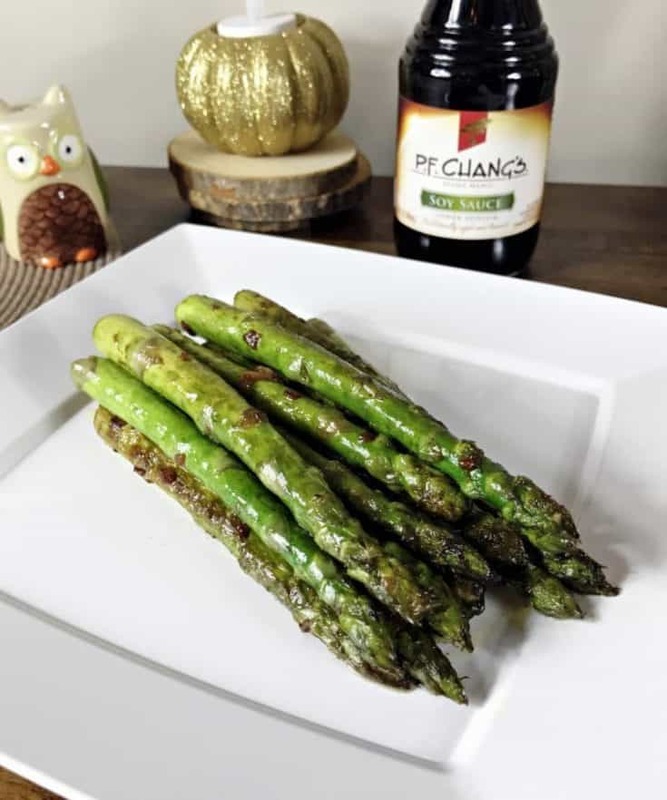 Quick, easy, and delicious Pan Seared Asparagus With Soy Sauce and Garlic takes only about 15 minutes to make, but is PACKED with amazing flavor. Heat olive oil and garlic in skillet at medium-high until garlic begins to brown, stirring occasionally. 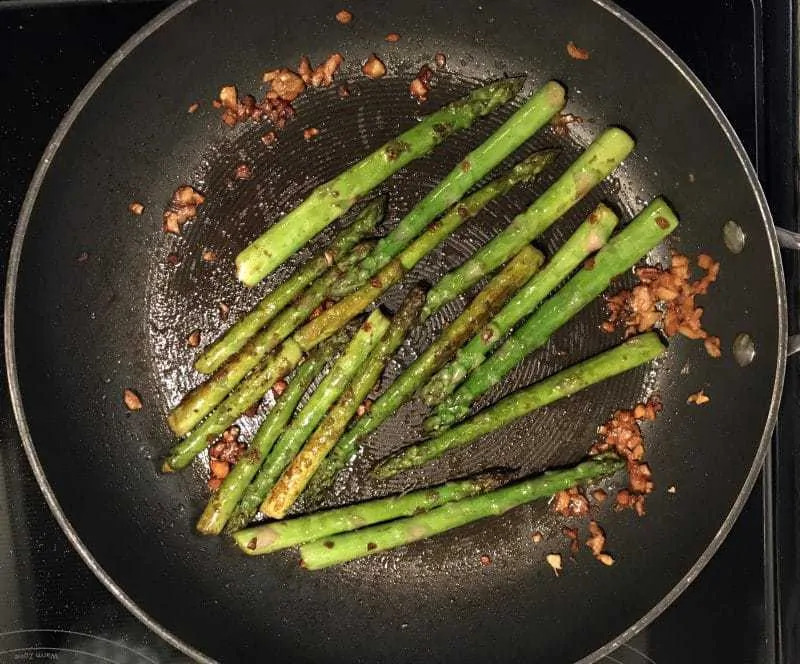 Add asparagus, soy sauce, and water to skillet. Roll asparagus to coat and cook evenly. I do this exact thing, you can grill them on the grill too. this is great. my husband loves asparagus. 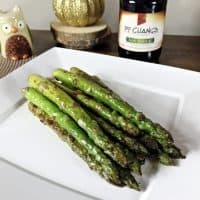 i love aspargus and i must try this recipe out. i woould of never thought of putting those two together but i know it will be tasty. I have never cooked asparagus. I have never eaten asparagus. My son and husband cook and eat it. 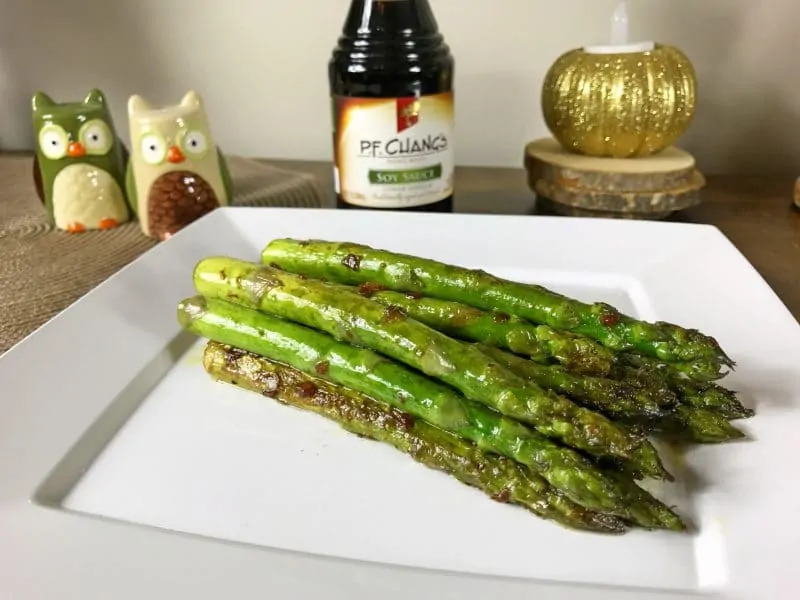 I am a huge asparagus fan but adding the soy sauce takes it right over the top. I’ll be trying this recipe for sure. Asparagus is one of my favourite veggies! I can’t wait to try this recipe. I am not much of an asparagus eater. This does look appetizing though. Yum!! Looks so good – I just love asparagus!! Gonna have to make a 2nd grocery run this week for some asparagus and try this recipe. Thank you for sharing. This looks very delicious. Love to try it. I do this recipe and cook them on the grill or if were smoking something I will put them in the smoker for 10 min so good. What I like about this recipe is that it’s so easy to remember how to make it, I could do it just about any day as long as I had the ingredients! I love asparagus, will definitely try this recipe.